Saying goodbye to a loved one is never easy. Deciding to let go a companion is always an emotional moment for a pet owner. Your house call veterinarian, Dre Lindsay, understands the pain you may feel. She can accompany you throughout the process and help you make the right decisions. Because this time is difficult, it has to be as soothing and comfortable as possible, both for the owner and for his pet. Many elements must be taken into consideration before deciding that humane euthanasia is the right option. One of the most important elements is to question the quality of life of the animal. If they are suffering every day and if there is no possibility of acceptable recovery, to let them go might be the best thing for your pet. Your veterinarian is the one that will help you find the right answers to these important questions. Together, you can explore all other alternatives to humane euthanasia, always keeping in mind their impact on the quality of life of the animal. 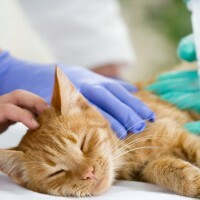 Your housecall veterinarian can take care of the incineration technicalities if you wish.